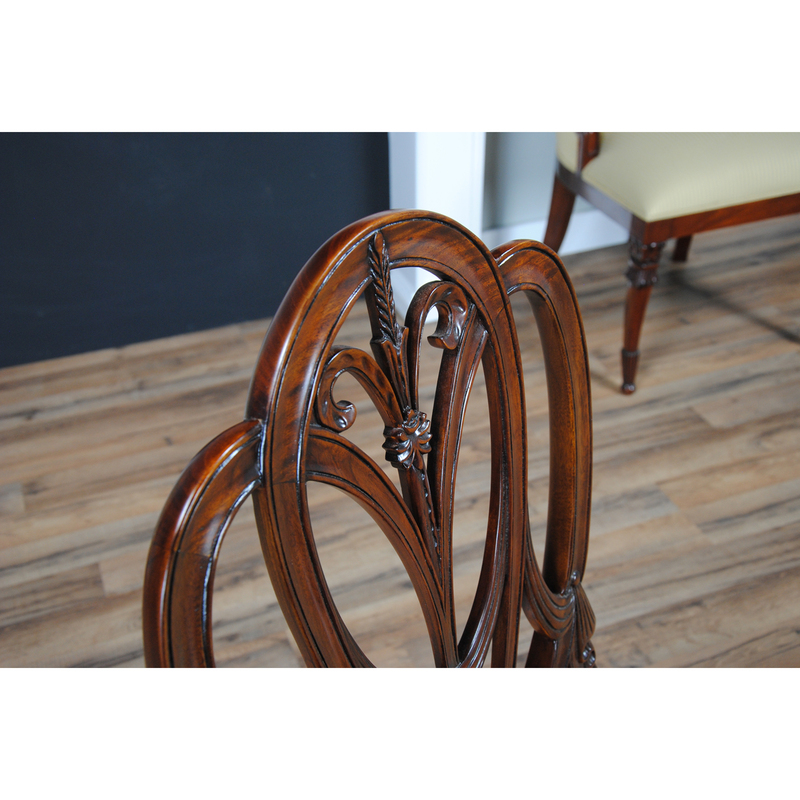 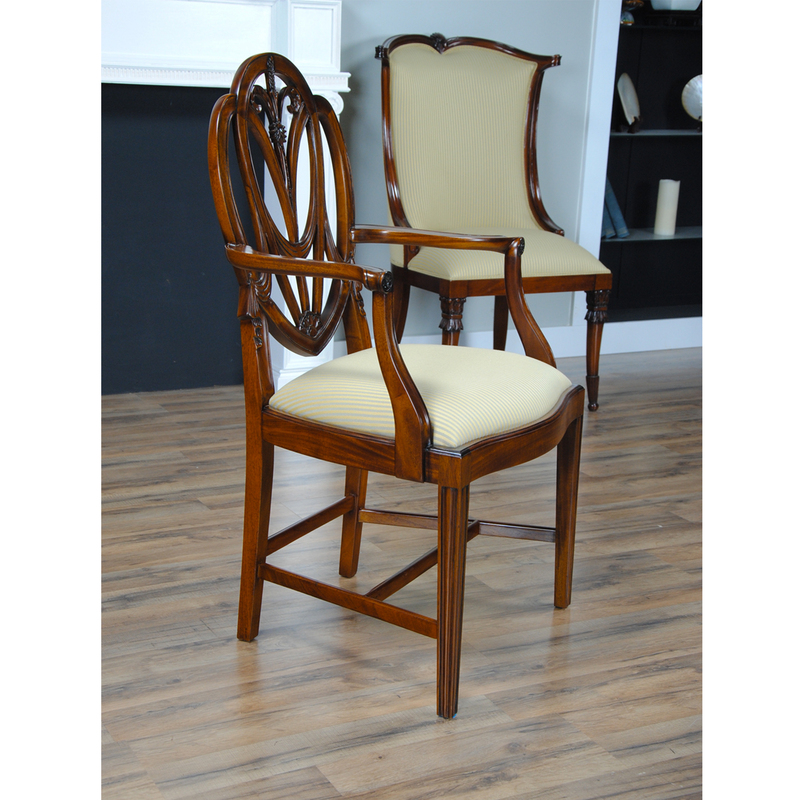 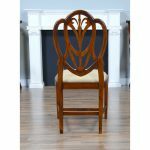 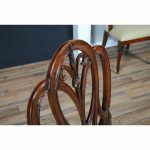 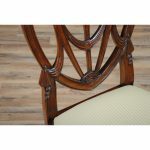 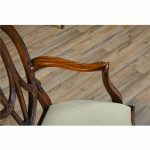 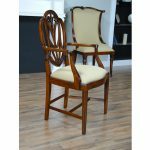 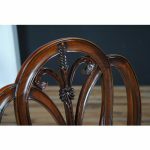 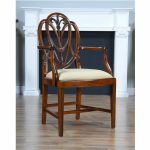 This fine quality set of 10 Tall Sweet Heart Chairs by Niagara Furniture consists of 2 arm chairs and eight side chairs. 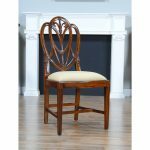 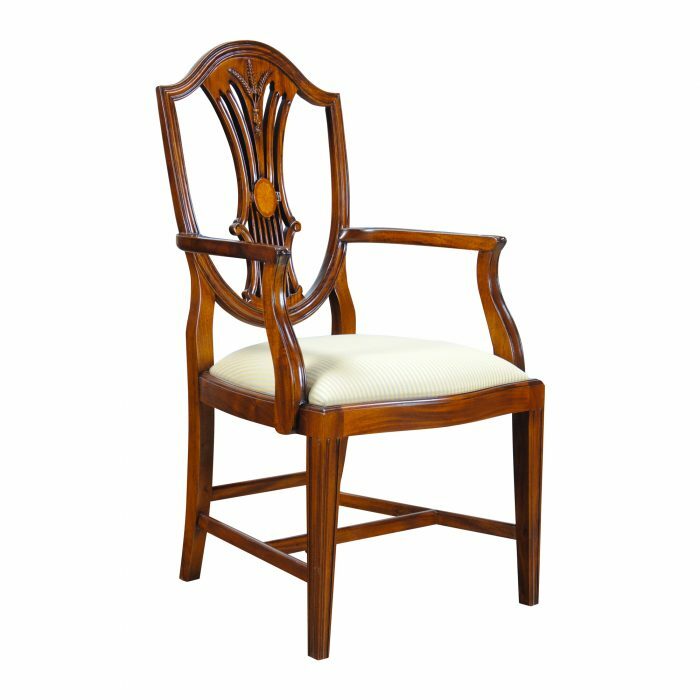 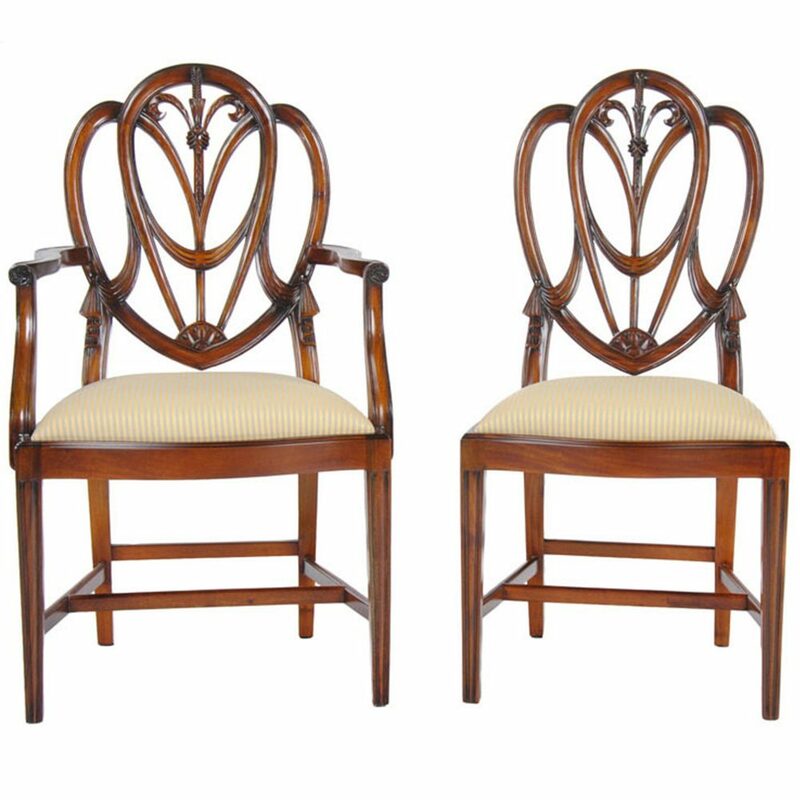 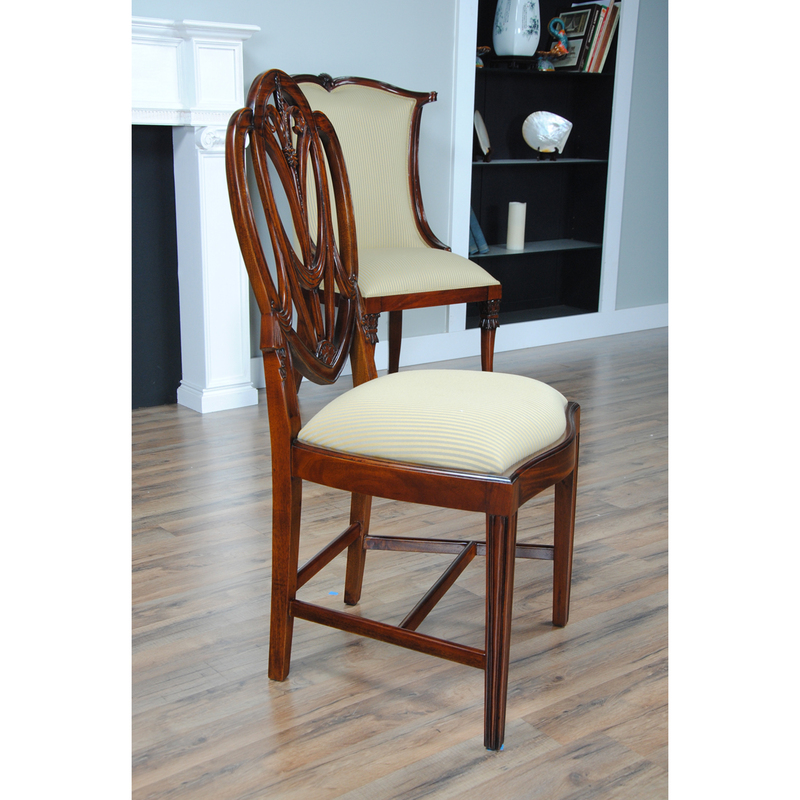 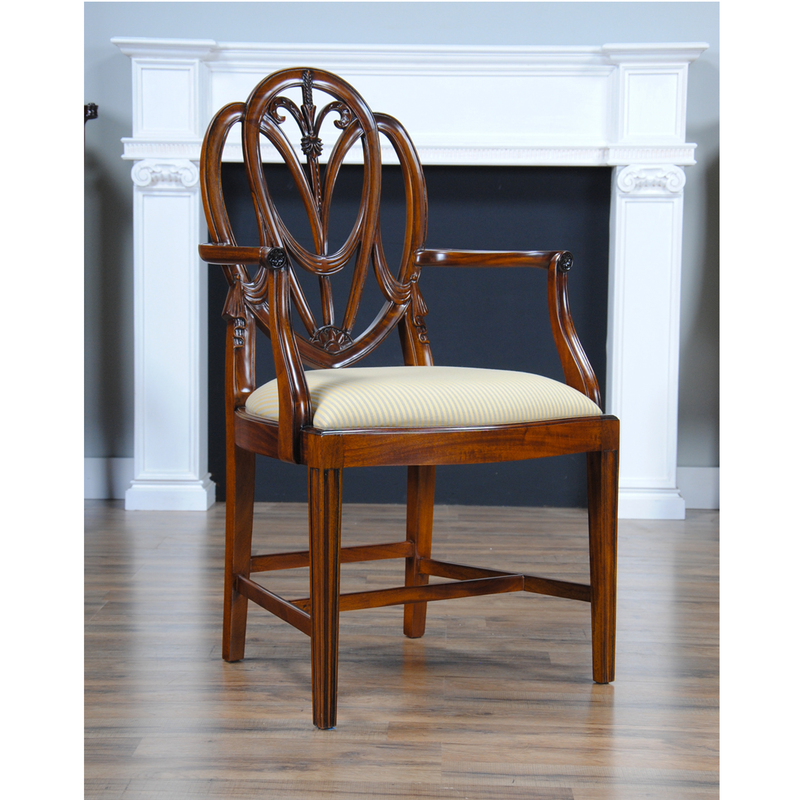 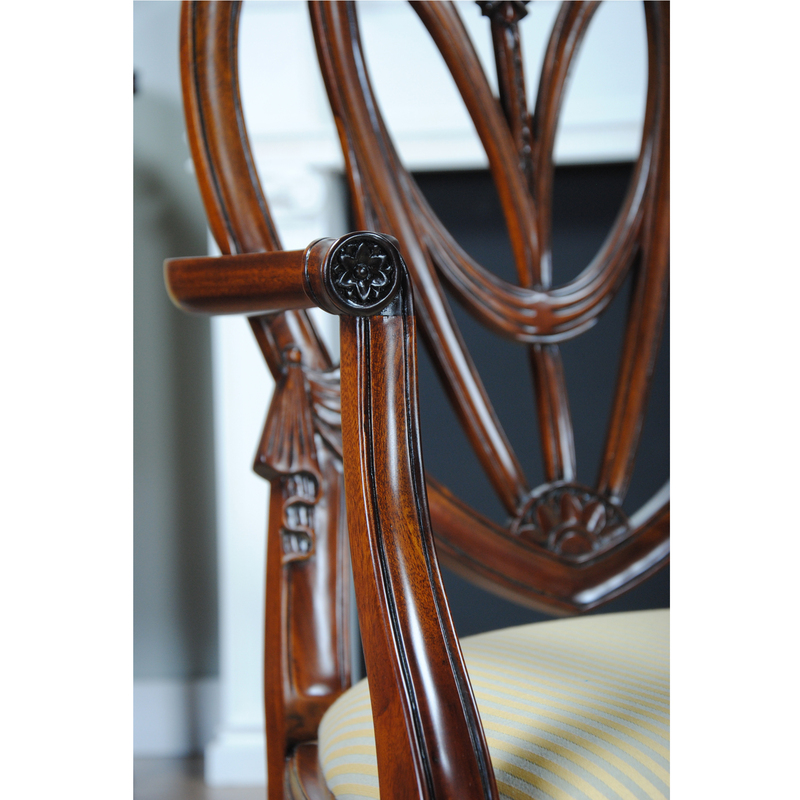 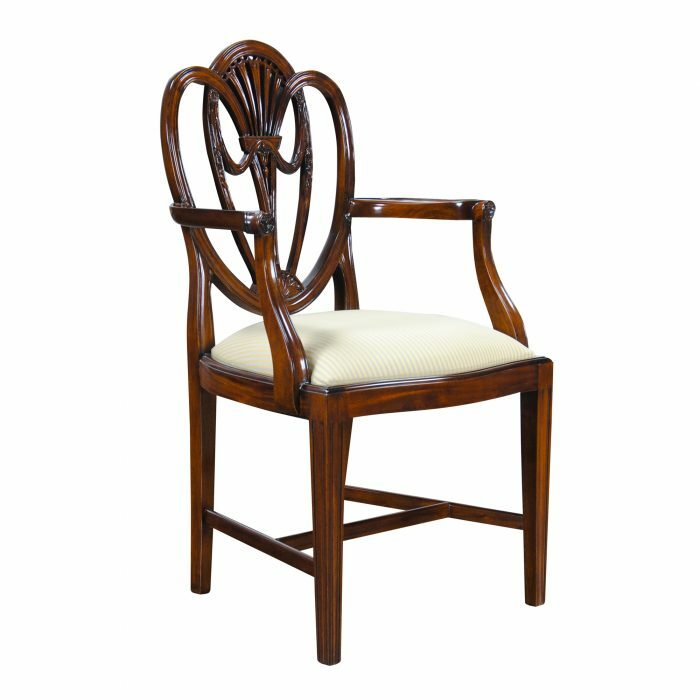 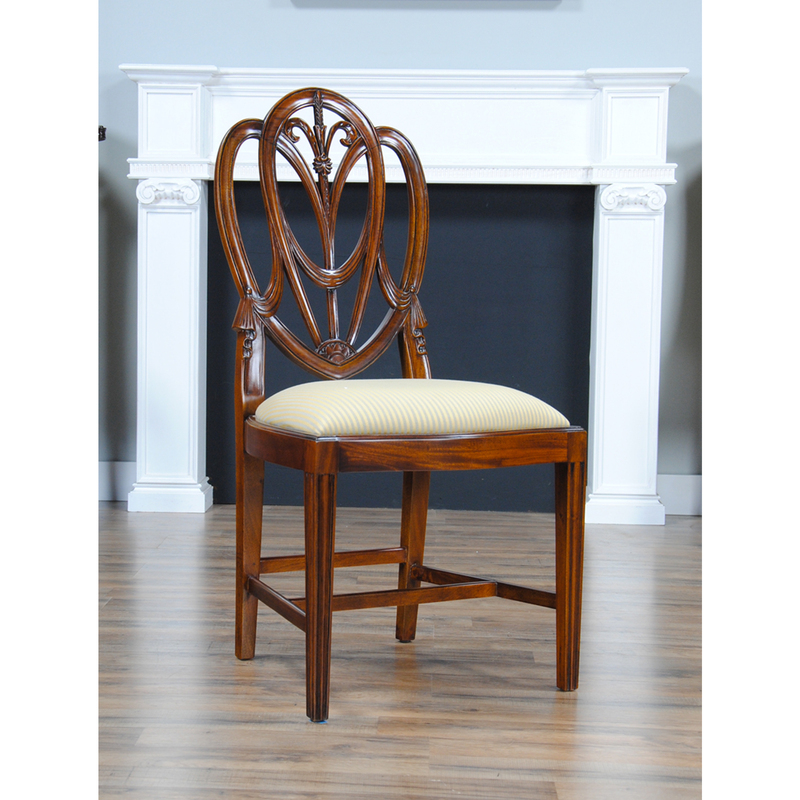 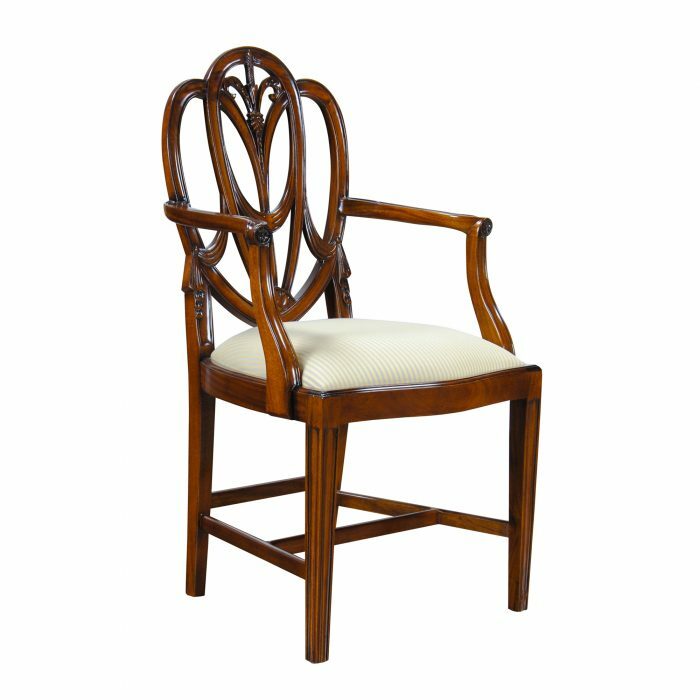 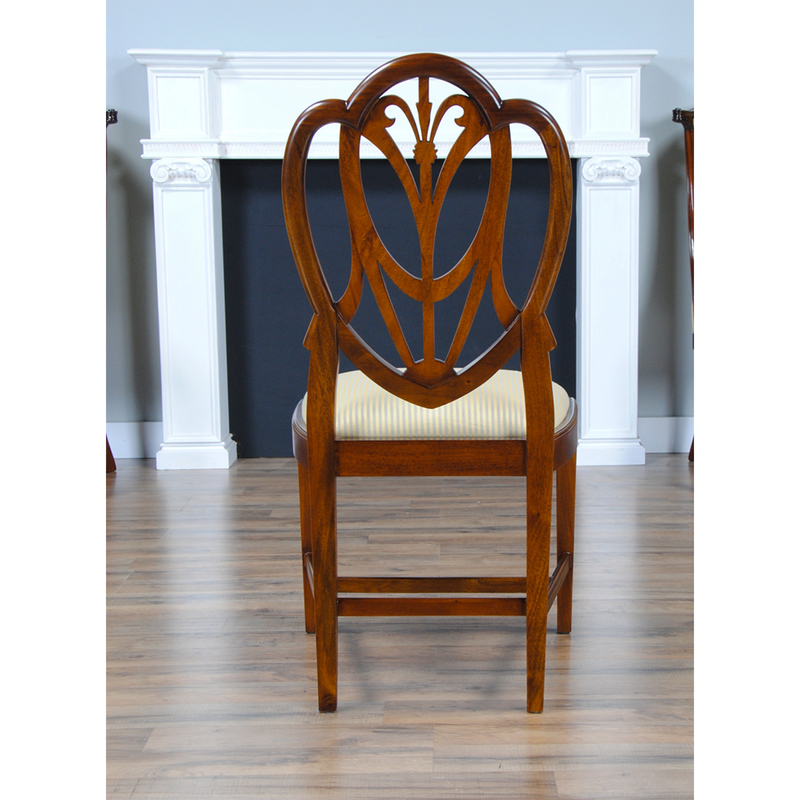 Each chair has an elegant and stylish back carved from solid mahogany and featuring Drape Carvings as well as interconnected loops crested by a Fleur de Lis design all anchored in a petal carved lunette. 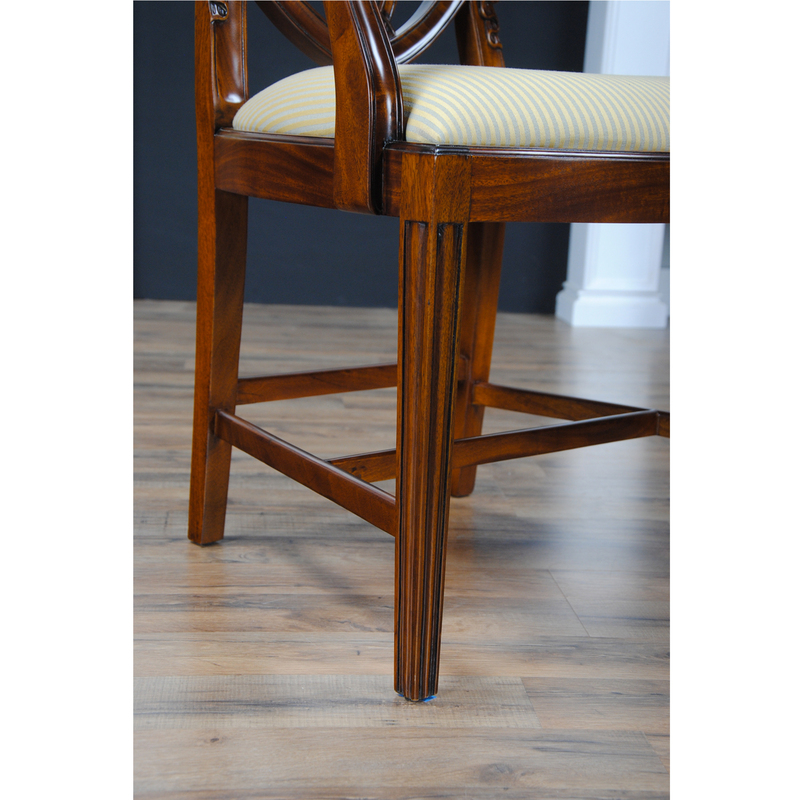 Tapered reeded legs on the front of the chair are connected with cross stretchers to the rear legs for extra support. 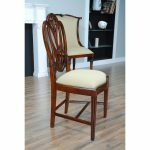 This Tall Sweet Heart Chairs finished in a beautiful golden brown color and upholstered in our most popular and neutral fabric which will fit into almost any setting. 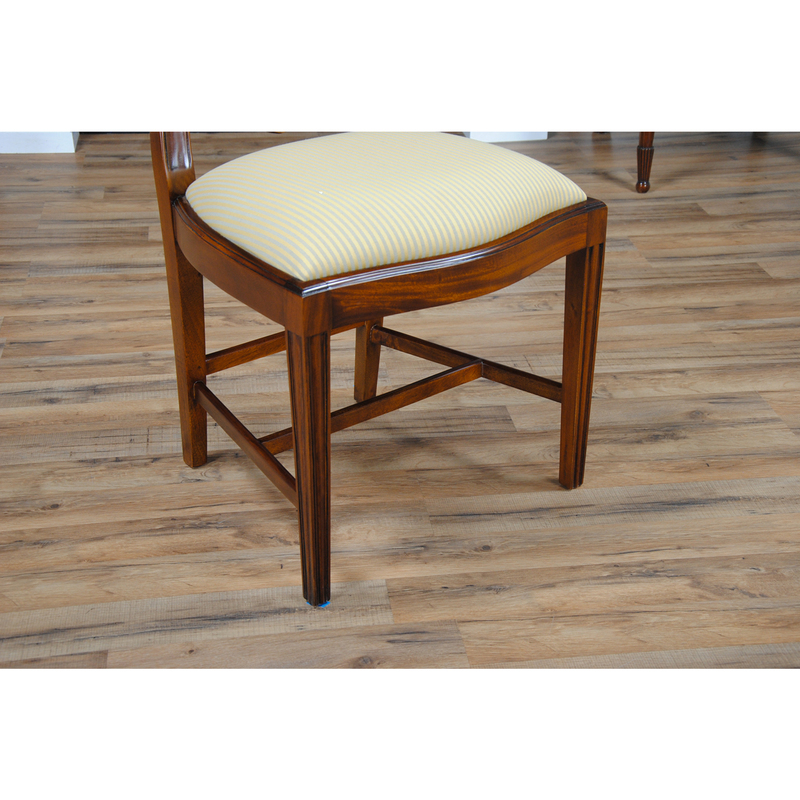 Should you decide to change the fabric the seat is easily removable to make reupholstering simpler. 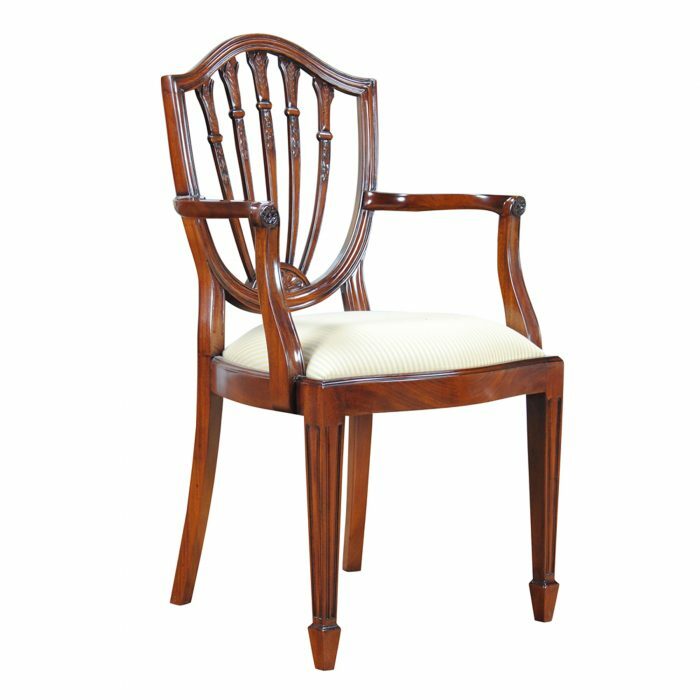 Arm Height approximately 28.5 inches and seat height approximately 20 inches.